Born in 1892, Bessie Coleman was the 10th child of a family of 13 kids. Being of African descent in those time meant that there weren't a lot of career opportunities for a young black girl. By the time she was 23 years old, she was working as a manicurist in a barbershop. Her faith changed when she heard her brothers and other military clients talk about flying during World War 1 and how women in France could also fly planes. This inspired her to want to become a pilot. And since no aviation school would let her enroll due to her skin colour, she took it upon herself to learn French and work extra jobs to save enough money to travel to France via boat and earn her pilot licence. In 1921, she became the first African American female pilot and the first to have an international pilot licence. This fearless petite woman specialized in stunt flying and parachuting. This was the only way she could earn a living doing what she loved, since commercial flight had yet to be established. In order to become a stunt pilot, she had to go back to aviation school for more advanced lessons. Once again, discriminations in the United States kept her from being able to enroll in the school so she headed back to Europe to learn from teachers in France, the Netherlands and Germany. She then returned to become an acclaimed pilot nickname "Queen Bess" by her fans, both black and white. She had dreams of starting an inclusive aviation school. Unfortunately, she never got a chance to fulfill that particular dream. In 1926, her plane unexpectedly dove and spun around while she was planning a parachute jump for the next day and her mechanic was flying the plane. Both her and her mechanic die on impact. 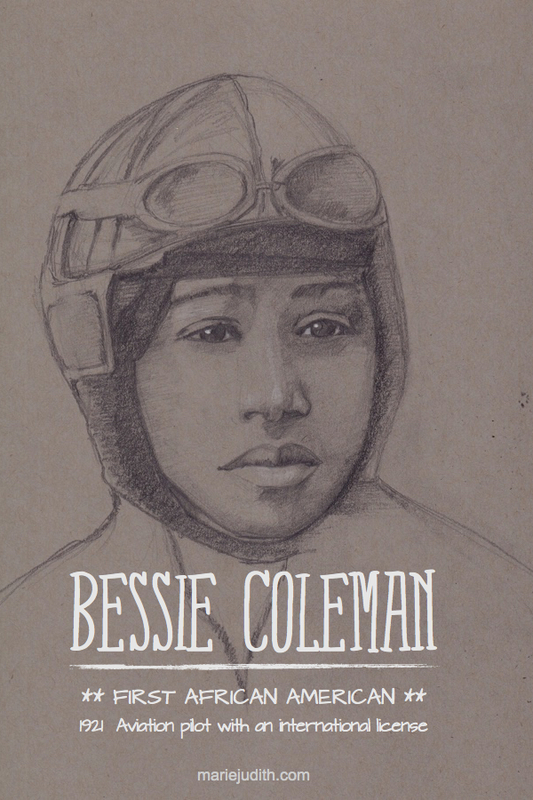 During her short life, Bessie Coleman inspired many African Americans to dare to dream bigger and that no matter how big the obstacles are, if there's a will there's a way.